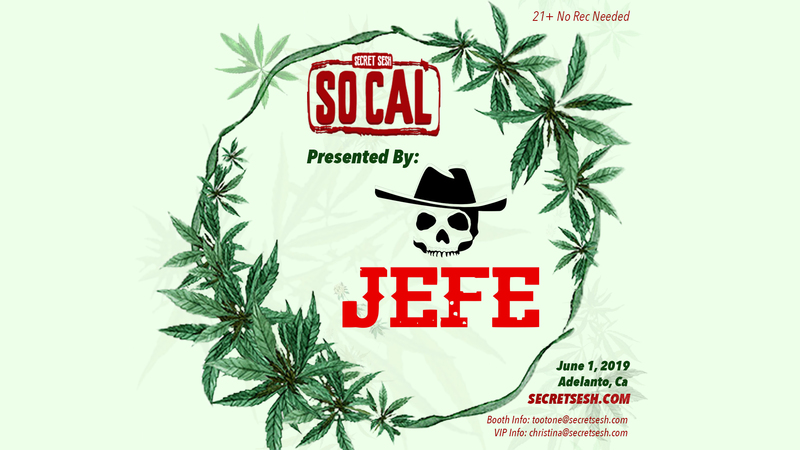 The much anticipated return of the Secret Sesh is scheduled for June 1st in Adelanto, CA. This will be the first legal, licensed, recreational, Secret Sesh and there are many surprises in store for all attendees. Our event will feature panels on the latest gadgets, discussions on how to improve our cannabis community, education on the law, stories from successful cannabis entrepreneurs and advice from industry leaders! For 6 years our event has been free and it will remain that way for general admission.. and for those interested, we will have an added bonus: VIP TICKETS!